Download our Adobe add-on and you can send creative work directly from Illustrator, and bring comments back in layered over your file. 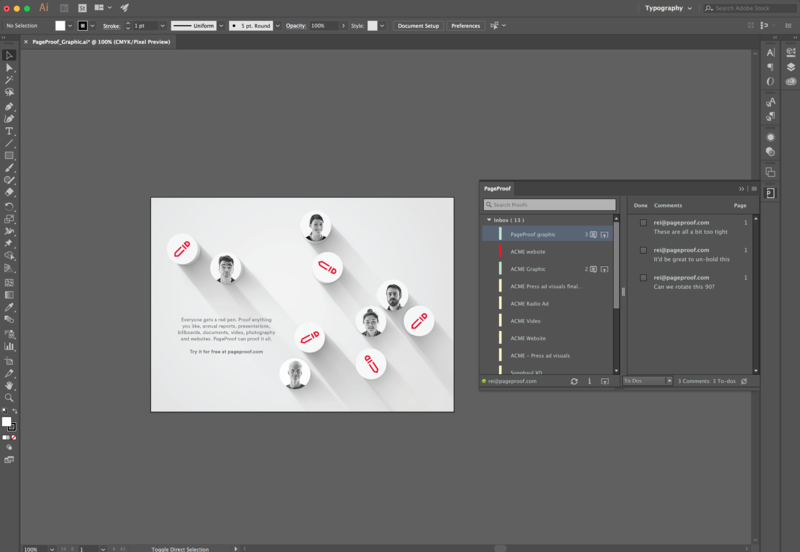 As a designer, it is quick and easy to create proofs directly from within Adobe Photoshop and send them out to a PageProof workflow. Then, when a to-do list has been returned, bring the comments back into Photoshop with the corresponding pins displayed layered over your artwork file. Select a comment to reveal the pin position on the artwork.